 The Scene Magazine - Page 4440 of 4581 - What's up Toronto? Writing a novel is no small task. Most authors would agree that completing, let alone publishing, a book is an intimidating goal and one easy to lose sight of. How refreshing then, to stumble upon a book launch at The Ship on Thursday night, for a young author who has succeeded. Local writer, Scott Bartlett hosted an “open source” launch for his newly published novel, Royal Flush. With several talented contributors, this open source approach made for a creative and intimate evening of music, food, comedy, and readings. On stage, Bartlett was genuine in his thanks to his friends and family for their support and help throughout the writing, editing and publishing processes. His readings from Royal Flush were funny and did well to pique interest in the story, and the comical character of The King. Although the night was dedicated to the launch of his book, Bartlett was more than happy to share the stage, and the spotlight, with some of Newfoundland’s new young talent. Raven Warren silenced the room with her incredible voice and ambitious Adele and Bon Iver covers. Stephen Power gave us an unabashed stand-up performance, and the cherub-faced members of Third Monument ended the night by turning up the volume and getting toes tapping around the room. As the evening came to a close, almost everyone (including me) had a new, signed copy of Royal Flush tucked under their arms. The launch, it would seem, was a success. Royal Flush can be purchased online through Amazon or locally at Afterwords, Never Ending Story, and Books-R-Us-Plus.